Surging Treasury rates is really the only market story there is right now (that is unless you find day in and day out equity gains of over 0.5% to be interesting). 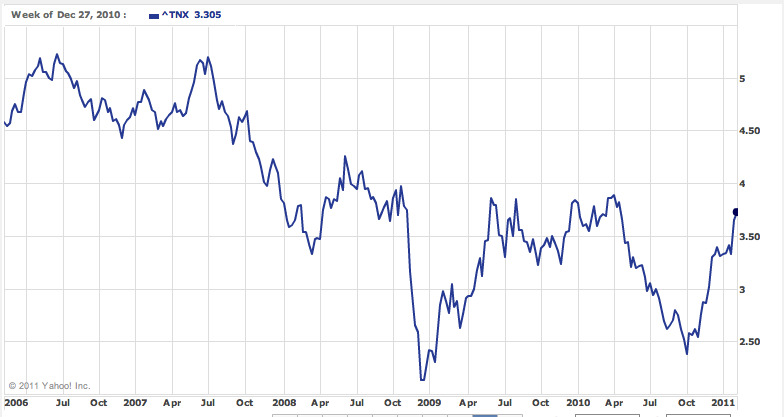 For some perspective on the move, here’s a 5-year look at the 10-year rate. As you can see, we’re pretty close to taking out our highs from the middle of last year. If we did that. Now here’s a longer chart to remind you that in the grand scheme of things interest rates are still REALLY low, but we have had a succession of lower highs for decades now, and a break of that pattern will certainly get the market to pay attention.